With each passing year, the globe gets smaller in the world of blues, and this release, which pairs a female vocalist/songwriter from Belgium and a harmonica-driven band that’s a fixture in New Orleans, is further fruit from seeds planted in rich Mississippi soul a century ago. Ghalia Vauthier cut her teeth busking on the streets of her native Brussels before establishing herself in Europe with The Naphtalines and Voodoo Casino, two bands that delivered a hard-edged sound that fused R&B, blues and rock. She possesses a melismatic, multi-octave range and light, but strong vocal delivery as her unaccented lyrics glide together quickly. 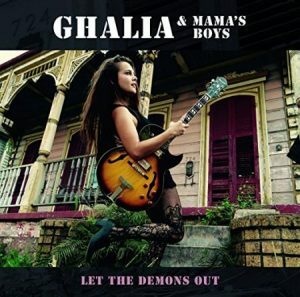 After multiple pilgrimages to the U.S., traveling to Chicago, Memphis and Nashville, Ghalia finally made it to the Crescent City, where she decided to record this album after falling in love with the sound of Johnny Mastro & Mama’s Boys, one of heaviest bands in the blues. Established about 20 years ago with 11 previous albums to their credit, the Mama’s Boys deliver a unique, instantaneously recognizable sound. The longtime house band at Laura Mae “Mama” Gross’ legendary bar, Babe’s And Ricky’s Inn, they draw inspiration from the sounds of their surroundings, but also incorporate modern, outside influences that combine to deliver what just might be the closest thing to grunge in the blues world. The opener, “4AM Fried Chicken,” is an uptempo boogie that opens with a brief instrumental that sets the stage for what’s to come with a sound that’s slightly darker and distorted than you’d ordinarily expect. Ghalia’s vocal bounces pleasantly in contrast to what’s going on behind her. Harp and guitar paint a haunting feel to the driving title tune, “Let The Demons Out,” before Mastro’s harp comes to the fore to open “Press That Trigger” before Brown delivers a pyrotechnic guitar solo. “I’m Shakin’,” penned by Rudolph Toombs and a funky hit for ‘60s legend Little Willie John, gets a welcome new life before the heavily modulated shuffle, “Waiting,” includes a Ghalia/Johnny duet. A driving guitar hook propels “See That Man Alone” before the rocker “Hey Little Baby” and “Hiccup Boogie” conclude the set. 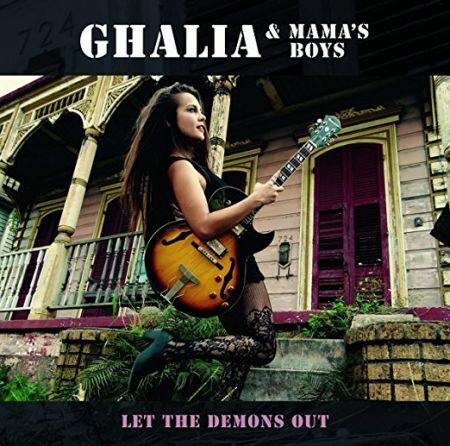 While this CD might strike a discord with dyed-in-the-wool traditionalists, it definitely puts a spin on the blues genre that most folks aren’t aware of, albeit it considerably lighter and brighter than Mama’s Boys’ recent work. Available through most major retailers. Pick it up if you’ve got adventurous ears and a love for what’s definitely a duskier shade of blue.